KGF Chapter 1 box office: The Hindi version performed exceptionally well, making Rs 21.45 crore in Week 1 and Rs 11.50 crore in Week 2. Prashanth Neel's KGF: Chapter 1 proved itself to be one of the most notable movies of 2018. After surviving the onslaught of Shah Rukh Khan's Zero, KGF: Chapter 1 took on Ranveer Singh's Simmba and still managed to make almost Rs 200 crore. Yash's KGF: Chapter 1 was made on a budget of Rs 80 crore and became the first Kannada movie to make Rs 100 crore. Yash's KGF: Chapter 1 made Rs 198.5 crore at the box office with a net collection of Rs 160.5 crore. Running strong for the third week straight, KGF: Chapter 1 has not only outlasted Zero, it is also running as strong as one of the biggest Bollywood films of the year, Simmba. KGF: Chapter 1 has received mixed reviews from critics but positive word of mouth from the audience kept it going. 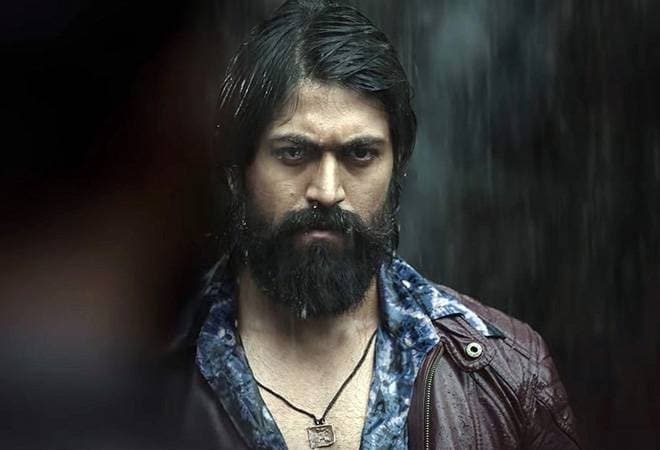 Released in Kannada, Tamil, Telugu, Malayalam and in Hindi, KGF: Chapter 1 has been performing well in overseas markets as well. KGF: Chapter 1 is currently the fourth highest-grossing release of South Indian cinema. However, it still has to overtake Prabhas' Baahubali movies and Rajinikanth-Akshay Kumar's 2.0. The Hindi version of KGF: Chapter 1 also performed exceptionally well. KGF: Chapter 1 made Rs 21.45 crore in Week 1, Rs 11.50 crore in Week 2 and Rs 4.25 crore on the third weekend, taking the box office collection of the Hindi version of KGF: Chapter 1 to Rs 37.20 crore. According to trade analyst Taran Adarsh, the Hindi version of KGF: Chapter 1 made Rs 90 lakh on the third Friday, Rs 1.35 crore and Rs 2 crore on the following Saturday and Sunday.